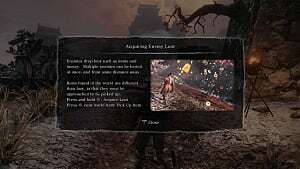 So it turns out that while the stat system in Sekiro: Shadows Die Twice isn't as complex as the ones found in Bloodborne or Dark Souls, it does still have one. The trouble is when you start the game, knowing how to upgrade your stats is tantamount to understanding a Great One. To help you, this is a guide on how to upgrade your stats and the kind of places you can find the materials you will need to do so. These two stats are intrinsically linked and one of the most demanding to upgrade. They are also the most important when it comes to your survival outside of your skill level. In order to upgrade these at the Sculptor's Idols, you need Prayer Beads. Four Prayer Beans to be precise. While there are a few Prayer Beads knocking about, waiting to be found in the world, the vast majority of the Prayer Beads you'll find come from the various bosses and mini-bosses you come across. 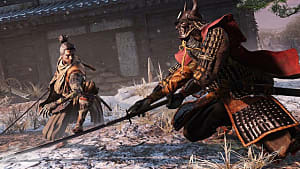 So, if you want to stay alive longer, you have to face your fears by fighting Sekiro's big bads. 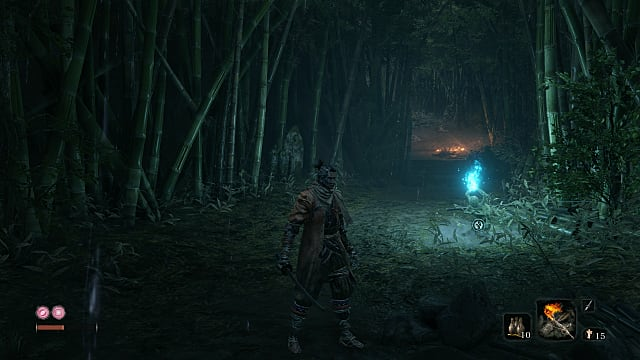 If you're just starting out, you can grab two Prayer Beads by defeating two early mini-bosses: General Naomori Kawarada in Ashina Outskirts and the Shinobi Hunter in Hirata Estate. In martial arts, you can grow almost as much by reflecting on past battles as you can actually fighting. Sekiro very much follows this logic. In order to increase your attack power at the Sculptor's Idols, you need Memories. These are obtained after key boss battles, but some of them aren't integral to your progress through the game. After beating a boss with a memory, you'll be prompted to confront the memory. Complete it and get the boost. In order to buy skills from your Esoteric Texts, you need skill points. Skill points are perhaps the most traditional upgrade in that you need to kill enemies to get them. Think of it as a traditional level bar. You get a certain amount of experience from each kill and the more skills you have, the longer it takes to get a single point. The best part about skill points is that they can be farmed. 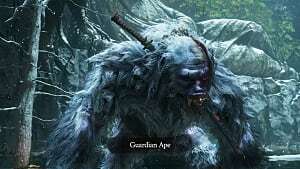 As with other Souls-like games such as Dark Souls, clear out an area, rest, and repeat. However, it's worthy to note that like most From Software games, there is a penalty for death; in this case, it's experience points. Die, and you'll lose a few experience points toward your next skill point. While these aren't strictly stat based, they are upgrades. 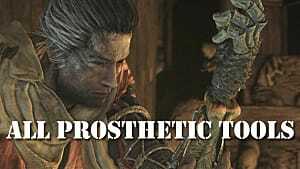 Your prosthetic tools can be upgraded as you play the game. For the most part, you only need generic materials to do this. In some cases, though, you will need a special item. You will always need gold. Gold can be obtained by looting the bodies of your fallen foes. Luckily, gold can be farmed and so can some materials, so go hog wild if you want the good stuff. 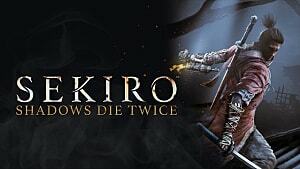 That's all you need to know about upgrading your stats in Sekiro: Shadows Die Twice. 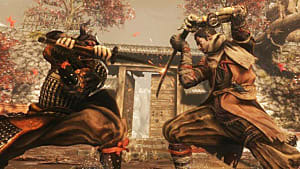 Be sure to head over to our Sekiro guides page for more tips and strategies.